This rectangular clock is a celebration of time and (negative) space. 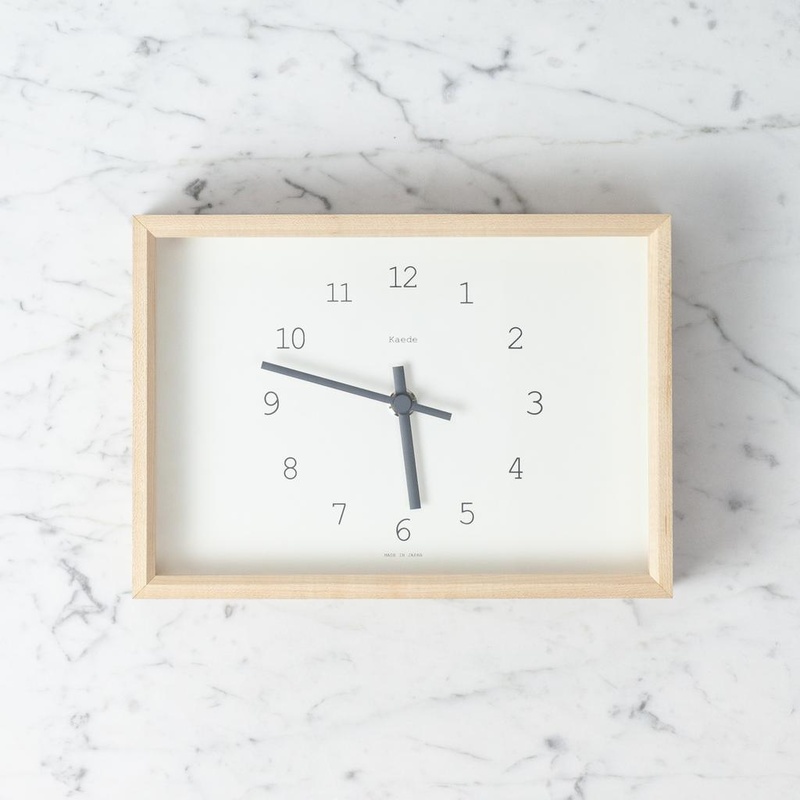 Spare and streamlined with elegant typeset-inspired serif numbers, this blonde maple framed clock can be used as a table clock or a wall clock. Plus, like all Lemnos clocks it is completely silent. Bring on the productivity. 10" x 7" x 2"
About the line: Renowned for their natural housings, precision mechanisms, celebrated designs (this particular clock is designed by Yuichi Nara), and completely silent clockworks, Lemnos Clocks are made in a 70 year old factory that began its life producing intricate brass altar fittings for Japanese Buddhist monasteries. 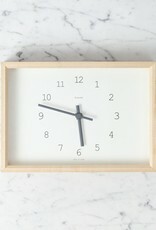 It is unsurprising, then, that these clocks take a minimalist, meditative stance on time. Yesterday is history, tomorrow is a mystery, today is what we have, silence is what we require. Om.